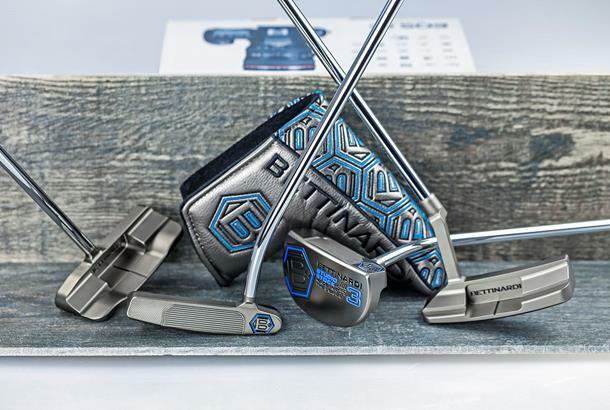 Bettinardi Golf, the specialist milled putter manufacturer based in Chicago, has released its 2017 range. 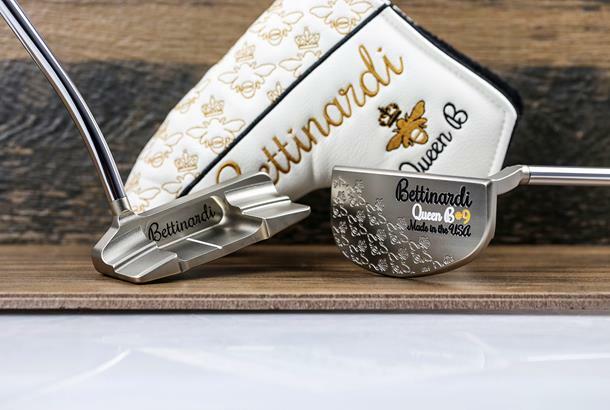 The ranges is made up of striking new putters and head covers in the shape of Bettinardi's Studio Stock and Queen B series. Consisting of 15 premium models across its four popular ranges - which also includes the classic BB Series and the standout iNOVAi - each putter is hand-crafted from one piece of high-quality milled carbon steel using hi-tech CNC milling technology at the brand's state-of-the-art factory. "We have refined the range for this season adding more new models while continuing to use the best face milling technology in the game," said Sam Bettinardi, VP of Sales & Marketing. The compact SS3 mallet features a single bend shaft that frames the ball squarely at address and is available in standard length (33"-35") and counterbalance with lengths ranging from 36"-40" with 3° loft. Two blade options are also available with the SS8 being created from the popular JAM head style featuring a high-toe topline and squared off edges. Available in 33"-35" length and 3° loft. The Arm Lock model (40"-42" with 5° loft) is available along with a standard length option ranging from 33" to 35" with 3° loft that is also available with a centre shaft. Specifically designed for the player with a more broadly arcing stroke, the Queen B 9 half-mallet features a gentle curvature towards the toe and crescent milled neck for compact and curved appearance. Both the Queen B series have a Satin Silver finish and are aimed at male and female golfers with 33"-35" length options and a 3° loft. The successful iNOVAi 3.0, released last year integrates motion technology with detailed craftsmanship creating a new fang-head design with a high M.O.I (Moment of Inertia). Its two-part construction comes from Black anodized aluminium and Stainless Steel featuring F.I.T Face milling and two alignment aids. Available with a standard or jumbo deep-etched Lamkin grip in standard, counterbalance and centre shafted options with lengths ranging from 33" to 40" with 2° loft. Finished in Midnight Black and a brushed Nickel shaft, the BB Series features the distinctive Bettinardi branding in a standout lime green colourway including the eye-catching grip. The patented Bettinardi Hyper-Honeycomb milled face is for players looking for a firm feel at impact and a consistent speed towards the hole.The BB1, BB1F and BB8 models are classic blade putters with subtle differences in the neck and weighting to set them apart. The BB1 is a traditional heel-toe weighted blade with an indented neck featuring light milling marks displaying the craftsmanship that goes into making every Bettinardi putter. The difference in the BB1F is that it includes a neck that is ridge-milled and fades right into the head of the putter itself; allowing for a conventional smoothed out stroke. The BB8 features a plumber's neck and a two-tiered heal-toe weighted cavity back design with squared off edges and topline. All BB Series putters are available in 33"-35" length and 3° loft with a standard or jumbo deep-etched Lamkin grip, at a recommended retail price of £269. Left-handed models are available in the BB1, SS3, and iNOVAi 3.0. The 2017 Bettinardi range is available from selected UK retailers this month.